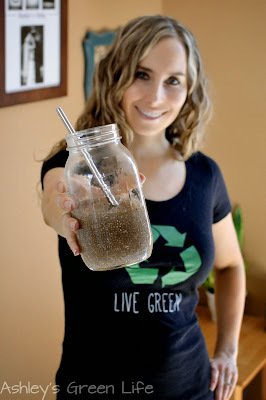 Hi greenies, today's green tip is all about my daily chia seed drink. Over a year ago I shared about my Daily Green Juice, and how I make a point to have it daily, and now I've found a second drink that I make a priority with my diet each day and it's my chia seed drink. Now I've been a chia seed fan for several years now, I've put them in my smoothies, added them to recipes, and been pretty happy with them. But lately I've started drinking them and I have been noticing some great benefits that I'm excited to share with you. 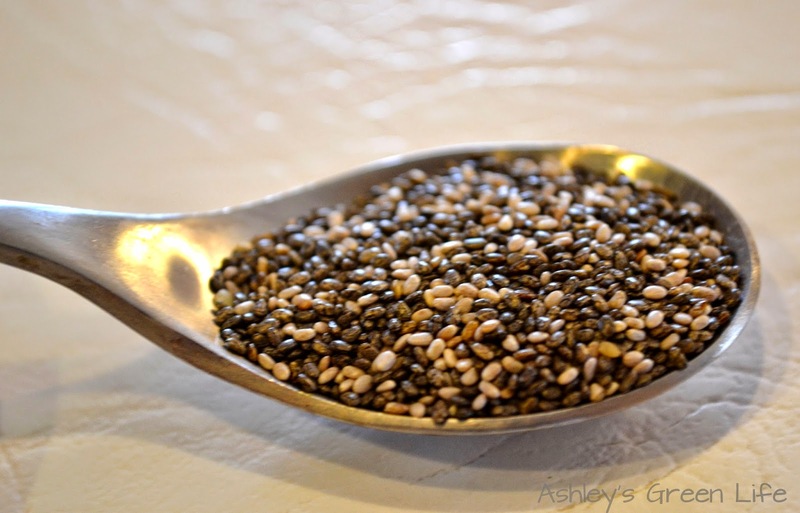 Chia seeds are rock stars when it comes to nutrition...they've got more omega 3's than salmon, more potassium than bananas, more antioxidants than blueberries, and they are full of fiber (5g per Tbs.) and protein (3g per Tbs.) just to name a few. 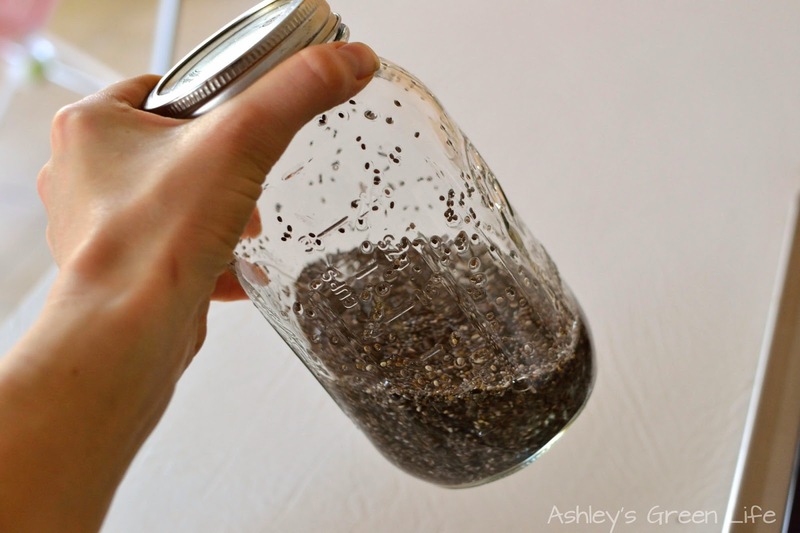 Here's what the chia seeds look like dry. 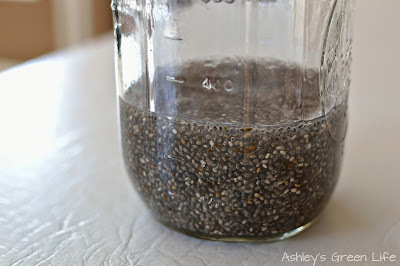 The cool thing about chia seeds is that when they get wet, they swell and a gel-like coating forms around them. 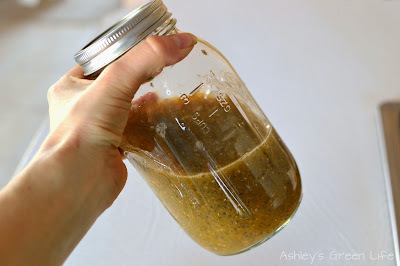 The resulting gel can give you energy, help you feel full longer, and keep everything moving along regularly in your digestive tract if you know what I mean. -More energy, felt at work when I drink it during that usual "yawning phase" that happens after lunch, as well as better performance during my workouts, especially running. Since doing this, I've been running faster and longer than ever before. Thank you chia seeds! Now chia seeds are a bit pricey, 16 oz. bag of Bob's Red Mill Chia Seeds costs $13 (this would give you 34 servings of 1 Tbs.) but I think they are well worth the price from a nutritional stand point. 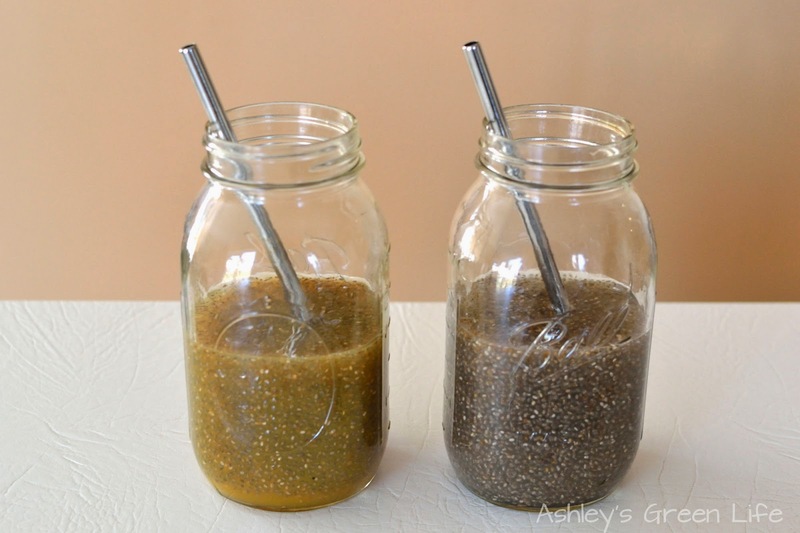 There are a variety of chia seed drinks out there, sometimes they are called Chia Frescas, but below you can find recipes for the two I love the most... Stay tuned at the end of the video to see Avery cast her vote for the one that is her favorite! 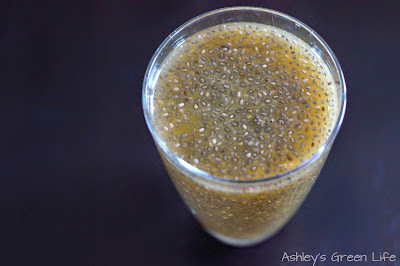 I call them Beginner and Advanced Chia Drinks not because they are hard to make, but because of their flavor. The Beginner drink allows you to customize it to fit your favorite flavors in how it uses 1 cup of your favorite juice. This makes it easy to try out first. But if you are more adventurous or don't mind "healthy tasting" foods, you could skip right to the Advanced drink, which relies only on lemon juice and maple syrup for flavoring. But maybe you like this flavor combo already, that's great. Do which one works for you. 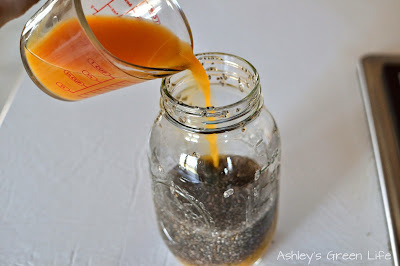 Nine times out of ten I make the Beginner one just because I love mixing up the flavor with different juices. 1. Add 3 Tbs. 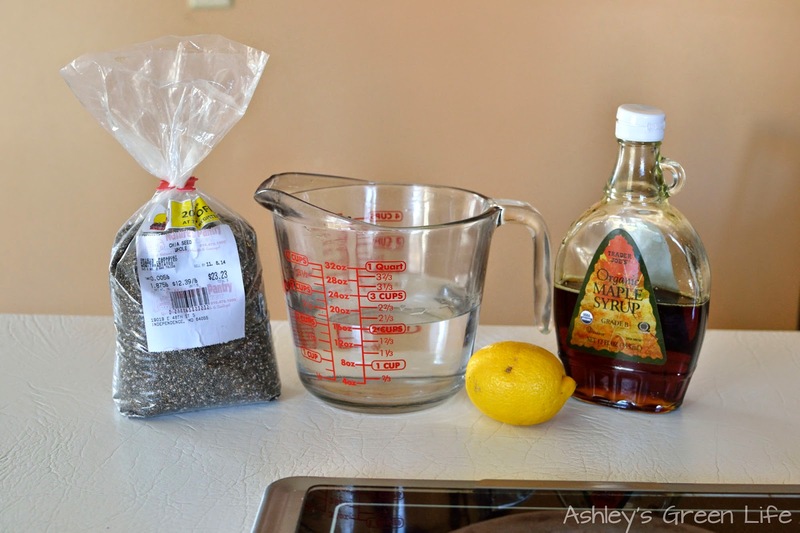 chia seeds to 1 cup filtered water. it's easy to make/shake/and drink with. 2. Now put the lid on and shake it up. but you could wait several hours or even over night. 4. 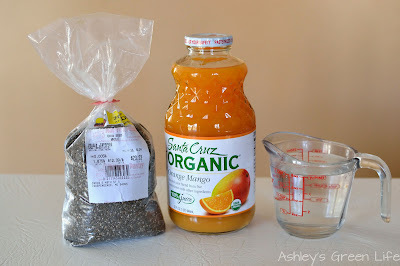 Next add 1 cup of your favorite juice. 5. Shake it up and drink! favorite juice to use lately! 1. 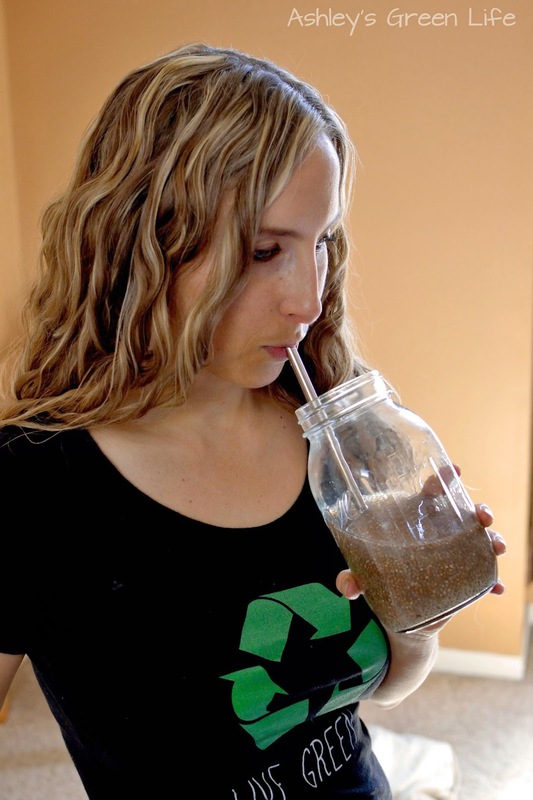 Pour 2 cups of water into the mason jar, followed by 3 Tbs. chia seeds. 2. Then close the lid and shake to mix it up. 3. Allow the chia seeds to sit for 20-30 minutes or longer, you could do a couple of hours or even overnight. They will have then formed a gel about like this. 4. Now add the juice of one lemon and 1 Tbs. of maple syrup or your favorite liquid sweetener. 5. Give it another good shake and then drink up! 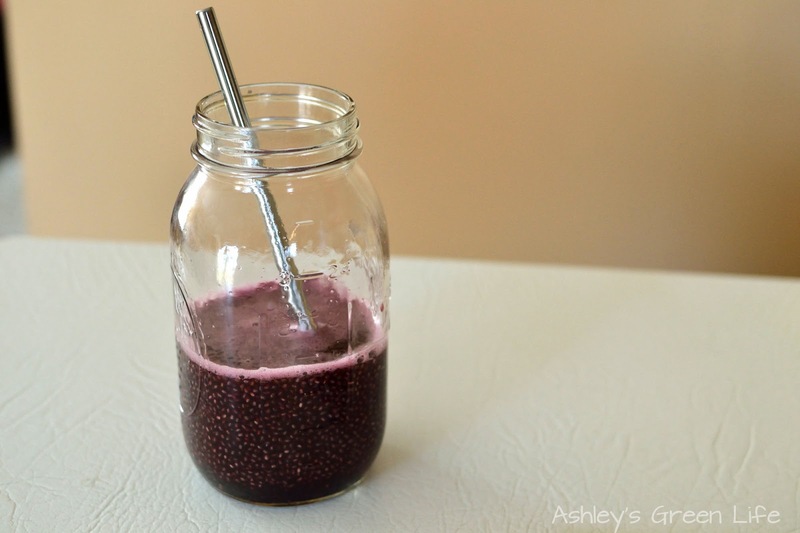 It will taste similar to a natural lemonade...with chia seeds! 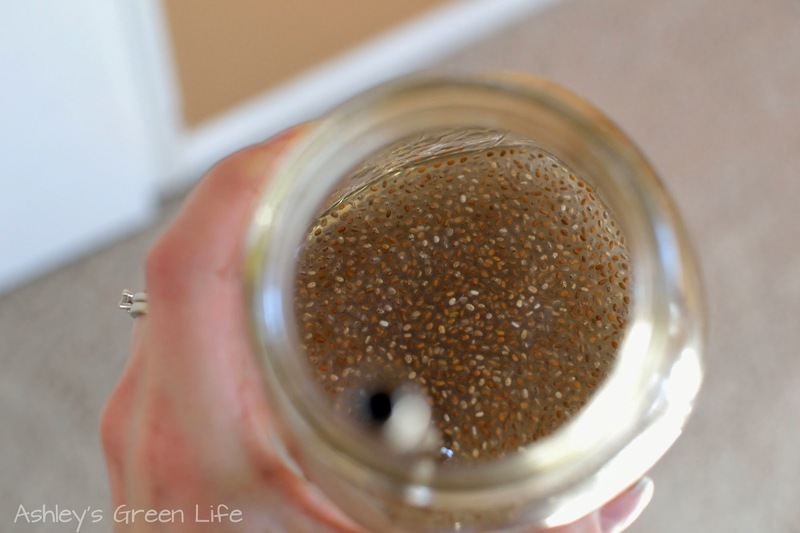 When to drink the chia seed drink: Whenever works for you really. Due to my schedule right now I often take it after lunch, but it would also be good before a workout or first thing in the morning to get your day started right. 2. "I can't stand the texture of the chia seeds!" Try using a straw, this way you don't have to feel them in your mouth as much. I love these stainless steel straws that I got off Amazon.com. 3. "I can't stand the way they look!" 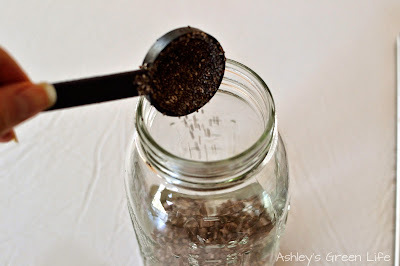 Put them in a covered mug or bottle with a lid. Out of sight, out of mind. 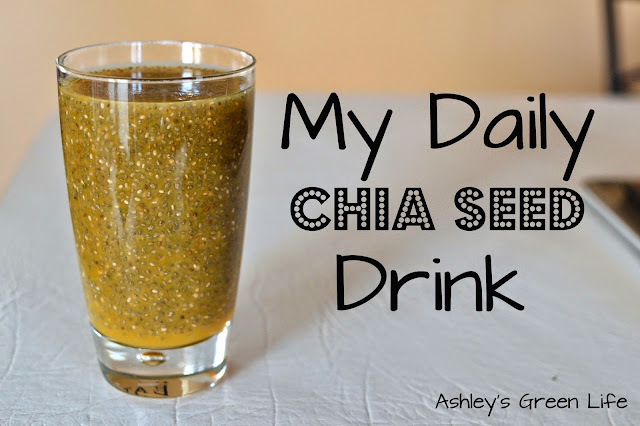 So there you have it, my Daily Chia Seed Drink. 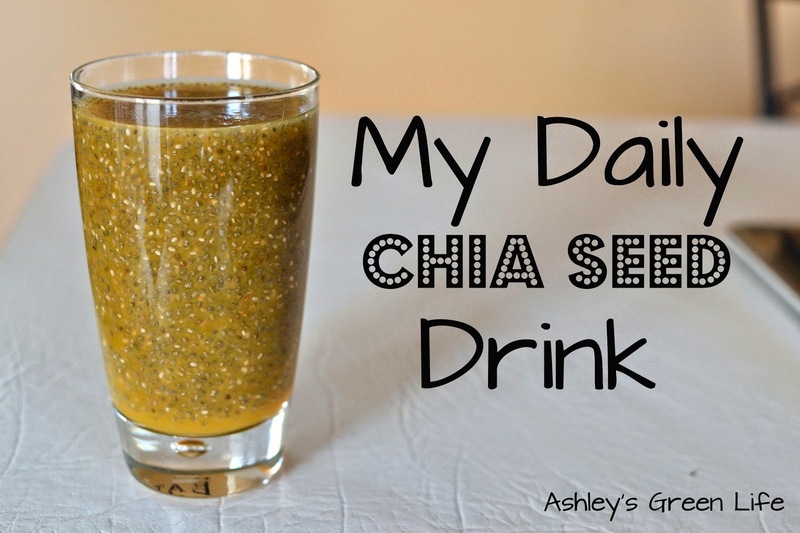 Have you ever had a chia seed drink before? If so, share the recipe below. If not, give this recipe a try. Let me know what you think and if you notice any benefits in your body/energy level. Until next time, keep it chia.